This ornament was part of the 2017 Stitch-Along Ornament Club. Pattern and full instructions available in my shop. 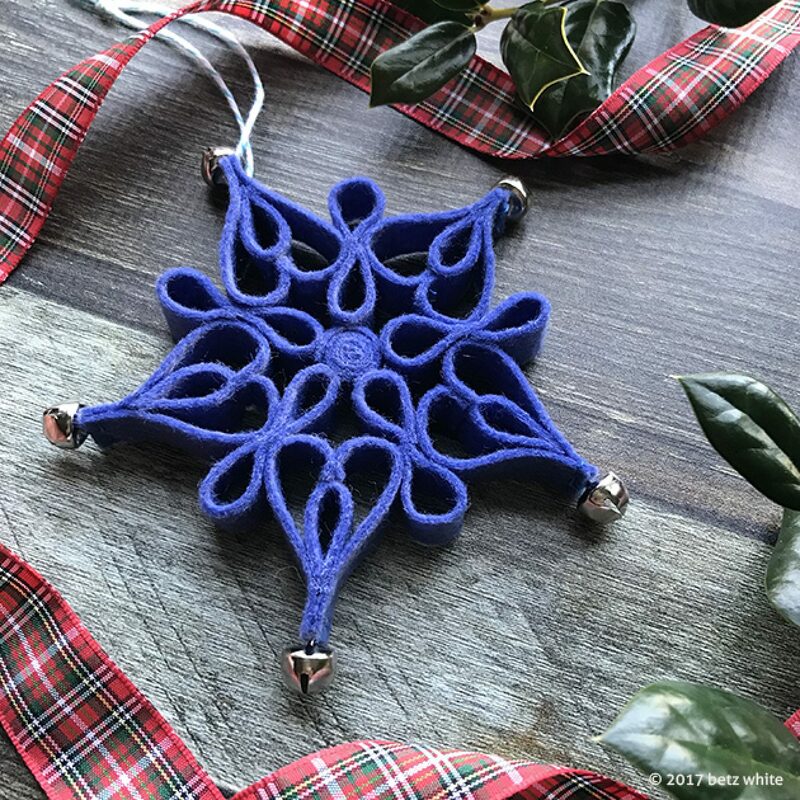 Reminiscent of paper quilling, this classic Filigree Snowflake will likely become a holiday favorite. Made with felt and accented with silver bells, it’s fun to create with simple machine sewing and glue. Try it using one color or several! I hope you had a wonderful Thanksgiving! And now that it’s behind us, I’m in full-on Christmas making mode. If you haven’t joined the Holiday Stitch-along Ornament Club yet, you still can! The cost is $20 for all 4 ornament patterns. After December 31st the club will be ending and the bundle price for all 4 will be $24. Each ornament pattern will also be available in my Etsy and Craftsy shops for full price, $6 each. 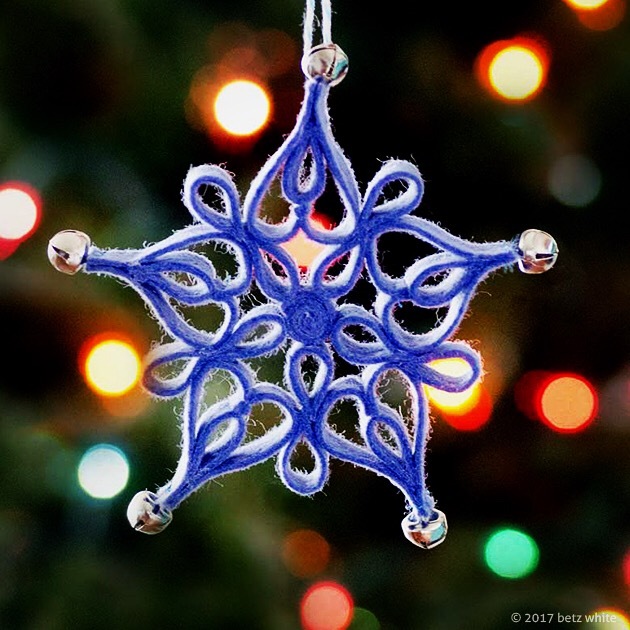 Club members, how are you doing with your ornament making? Have you made the Pineapple, the Kitchen Mixer and Mrs. C’s Apron yet? If you’ve already made a few ornaments, I’d love to see them! Share on Instagram with the hashtag #holidaystitchalongornamentclub or post in our Facebook Group! I like the addition of the bells on the points, very festive. I made a little golf-themed ornament today, but nothing as elaborate as your quilled felt snowflake! Dying to buy your snowflake pattern. Checked on Craftsy but nothing yet. Any idea of the release date? I didn’t make the group, but would love to buy it individually.